Everyone's favorite afternoon treat. Keep one for yourself or buy a baker's dozen to share! Baker's dozen cookie boxes are available by pre-order. 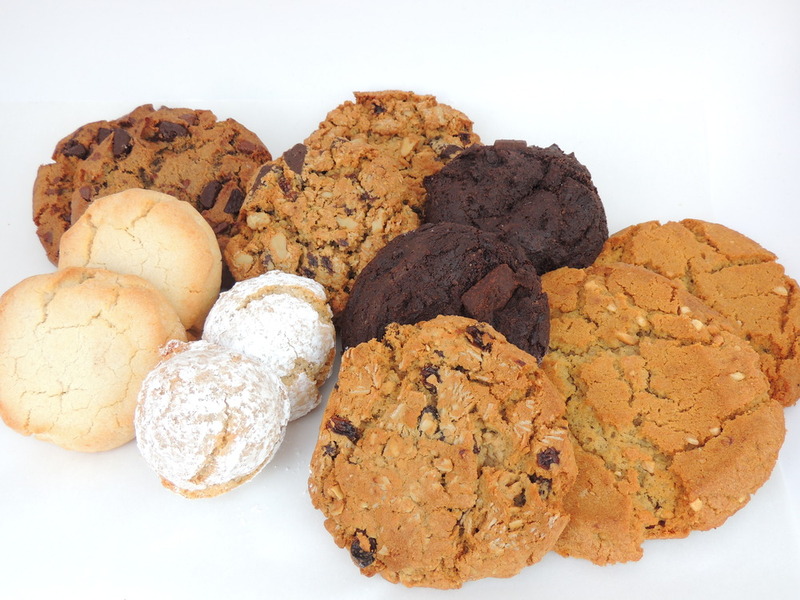 From left to right: Chocolate chip, shortbread, cowgirl, ricciarelli, double chocolate mint, oatmeal raisin, and peanut butter.